EDSA, Traffic, Solutions, Incentives, Etc. Few weeks ago, I was able to read the Opinion Editorial in one of the daily newspapers. I don’t usually read the newspapers but with a brief stop to eat my breakfast in one of the Fastfood Restos along the NLEX, I got a free issue of the newspaper. What caught my attention in the newspapers is the Editorial about EDSA and the problem of traffic in the metropolis. Few days ago, there is another “news” whose video became viral in the Internet which showed a fat guy in lavander-colored shirt slapping a MMDA traffic enforcer. I am not sure what made the guy got out from his car and showed outrage towards the traffic enforcer. I have the impression that it was a result of the traffic situation in the metropolis. The bottomline and the BIGGER Picture in the Opinion Editorial and the “slapping” incident is the fact that for the past years and administrations, there is NO SOLUTION that is good in easing up the daily traffic in EDSA in particular and in Metro Manila in general. Not even the MMDA or the Office of the President could think of an idea and/or implement a measure that would sove the problem of traffic in Metro Manila. The volume of traffic had been growing in an unprecedented manner while the number of roads and mobility access have not increased and improved. Not even with the introduction of the Light Railway Transport (LRT/MRT) and increase in the number of traffic enforcers had improved the traffic condition of the city. What could be the problem? What could be the solution? If you observe, there are lots of transport buses and jeeps plying within EDSA and other main streets in the city. 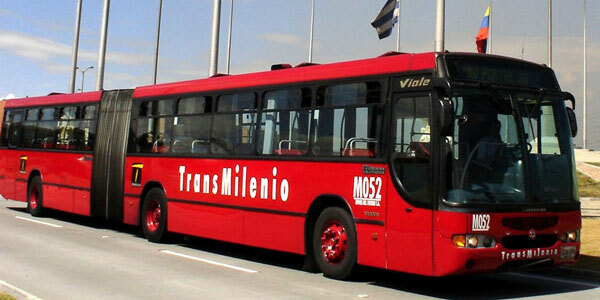 This is to include the Provincial Buses going and coming from the Northern & Southern Provinces. Maybe, reducing the number of buses and jeeps in the city would ease up the traffic in the city. You might be wondering why I am trying to analyze the traffic situation in Metro Manila and trying to suggest some solutions to this perpetual problem of ours. It’s because there are solutions to be considered from the point of view from a runner/hiker/athlete and from me who gathered ideas from other sources. Of course, as an athlete/runner/hiker, I would suggest that people would go back to what we would naturally do during the Early Ages—walk, jog, or run to reach from Point A to Point B. Let us not argue about the pros and cons about this suggestions. In the end, this suggestion has more advantages than disadvantages. Have you heard about the carpool system that other countries use to ease up the volume of traffic in their streets? This system is applicable to corporate offices as well as government offices. One person in one office can share a ride for another 3-4 persons employed in the same office, provided they come from same origin or the person who drives can pick-up the remaining passengers where the route passes towards their destination. Another option is for anybody or for you to try riding the bus/jeepney/UV Express in going to your office and going back to your home, at least, 1-2 times a week and leaving your car in your house. These abovementioned suggestions are only effective if coupled with discipline, positive attitude, and commitment. But they are far more effective if we have some rewards or incentives if we commit ourselves to such suggestions. This is where leadership and management level would enter and be part of the soultion to our traffic problems. Yes, incentives or rewards are the “carrot” that we need. The government could easily enact laws, ordinances, decrees, and rules and regulation but such “stick” woud not be effective if it is not implimented or enforced strictly. A person who goes to his office by walking/jogging or running should receive some incentives from the management. It could be some cash enough to motivate him to maintain his running. Maybe, the cost of a brand-new running shoes can be collected by him every 3 months; a weekly registration fee for 10K to half-marathon race of his choice; or additional support for nutrition and hydration which is given on a monthly basis; or a new running kit (apparel) every 3 months! For the cyclists, the same incentive as the runner is appropriate. It could be cash incentive or anything that he could use for his safety while riding his bicycle. For the carpooler, he could be given some incentive in terms of additional allowance for the gasoline; repairs; and maintenance servicing of his personal vehicle. Better yet if the management could provide an all-expense trip for a family weekend vacation in any part of the country. If you take the bus or public transport instead of your personal car, the management should double your daily fare and receive the incentive at the end of every two weeks. If you spend P50 a day for your fare, the management should be able to give you P100 as your daily incentive or maybe more. You might ask me where will management get the money for the incentives. Well, I would assume that personnel would be healthier if they are more active by adhering to my suggestions. The management will be saving money for the medical and hospitalization of their employees, to include payments for medical and dental insurances. So, in effect, the management will be “front-loading” their savings for the medical expenses for their personnel in the form of incentives. It is easier to say than done but it is possible. Now, it is for the government and private developers to come up with the needed infrastructure in order to impliment safety in running, walking, and cycling from Point A to Point B. What could be more revealing is the fact that Colombia won 8 Olympic Medals in the latest London Olympics with Gold and Bronze Medals in BMX Cycling; Silver Medals in Road Cycling and Women’s Triple Jump and other individual sports. 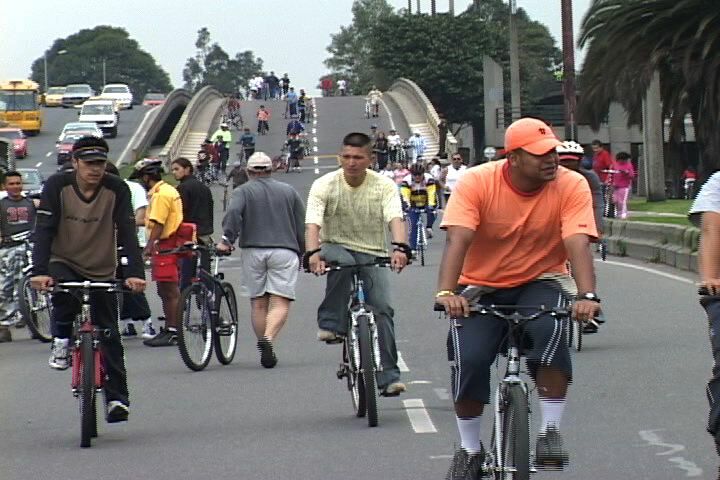 I wonder if there is a direct connection with how Bogota, Colombia solved its traffic problems and the encouragement for the people to have access to paved roads which are transformed into parks during the week. Just maybe, this is a good model for us to emulate if we want to encourage more of our citizen to engage in endurance sports. As they say, “you may never know”. What is needed is for us to TRY. As a “beginner” in running, one should follow what I call as “30-minute” rule. For that matter, those who would like to engage in any endurance sports as “beginners” should follow what I term as the “30-minute” rule. What should be the emphasis in training is the observance to complete 30 minutes doing your workout, whether it is walking, jogging, running, cycling, swimming, biking/cycling, rowing and/or any sports that involve aerobic capability of the body. Make one’s training to be as “time-based” instead of trying to find out or complete a certain distance. Knowing the distance you have covered after 30 minutes will come later as you progress and be comfortable doing this “time-based” workout. There is no need to be excited on how far you have covered for the period as there will be time to consider the distance and time in your daily training journal. The “30-minute” workout does not include the warm-up, stretching, and “cool-down” exercises. There is no particular pace during the “30-minute” workout as you do your activity by taking it easy and comfortable. Your progress in your selected sports will have a faster result if you do this “rule” everyday! Make this rule as part of your daily activities and of course, you need a lot of discipline to do this. Remember, 30 minutes of your time on a daily basis to engage in any aerobic activity is very easy. Think DISCIPLINE!